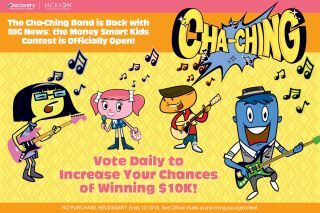 Cha-Ching Money Smart Kids is an engaging and fun financial education program designed to train the next generation of financially empowered adults. The program empowers youth with critical 21-century skills by beginning high-quality financial literacy education in elementary school, where it can be fundamentally embedded in core learning experiences at a young age. Available at no-cost to classrooms nationwide, the program includes educator resources, family activities, animated videos and more.